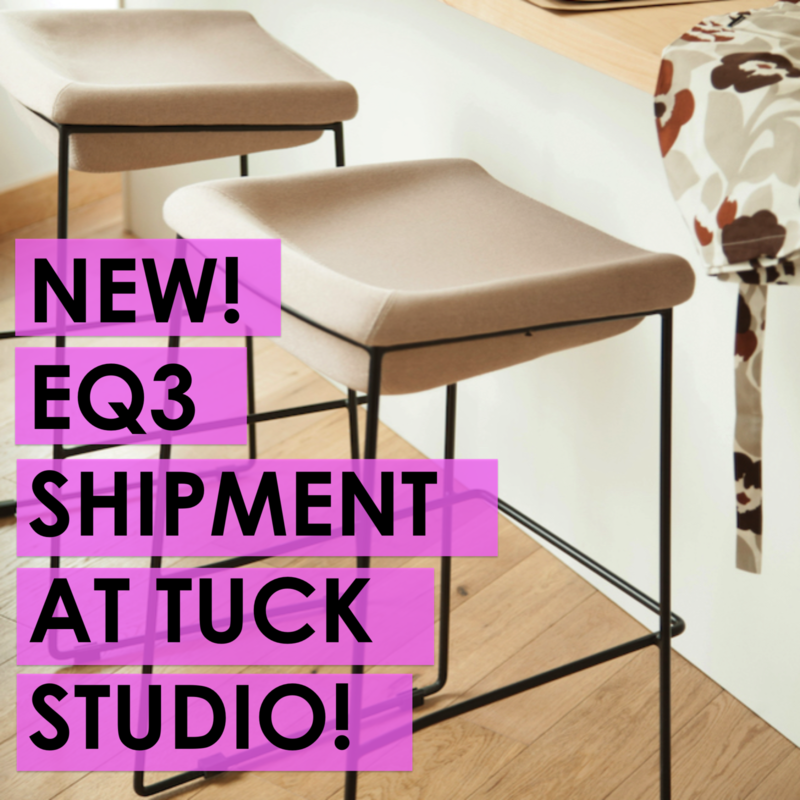 We’ve got new stock from EQ3 including new Solid Wood Stools, floor lamps, table lamps, dining chairs, and counter stools! There’s something about a new shipment of furniture that makes us a bit giddy and we’re so excited to share what’s new with you! EQ3 Solid Teak Stools, Back In Stock! Made from solid Indonesian teak, each stool is unique. Use as a stool, night-stand or end table in any room. Available in cylinder, rectangle, round, square, and mushroom shapes. EQ3’s classic Altoh Side Chair is now available with light finish oak legs and Belgium linen upholstery combination. Also available as an arm chair. The Mackenzie counter stool is a refreshingly fun and comfortable stool. Understated yet great to look at, the Mackenzie counter stool will make a great addition to any condo or kitchen counter top. Featuring legs that are made of solid iron tubing and a top that is constructed of molded foam with polyester fabric. Choose from white or black legs and a dark grey, taupe, or light grey fabric seat. Tailored lines and sleek upholstery give this chair a sophisticated aesthetic. The high back adds visual intrigue while providing comfort. The light piping detail adds a sleek touch. Mix and match the Valentin side and arm chair for your ideal look. Your choice of Dark Grey or Light Grey Fabric. Restocked Table & Floor Lamps! We’ve restocked some classic favourite table and floor lamps! 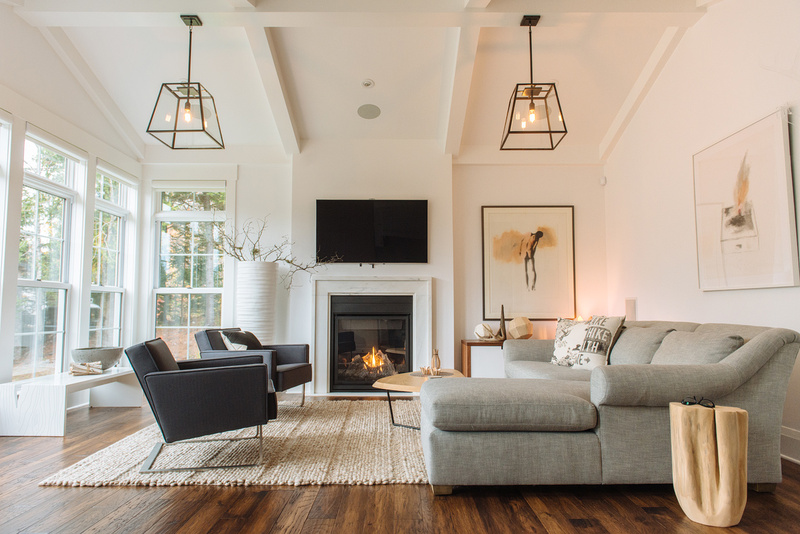 The Micah Table Lamp (Black or White), Micah Floor Lamp (Black), and the Iggy Table Lamp are all back in stock! Stay up to date on Tuck Studio’s contests, sales, blogs, and promotions by signing up for our emails at tuckstudio.ca and follow us on Twitter, Instagram, and Facebook!